Growing up in Imphal, there were actually a lot of things, which kept me sane. It’s quite ironic because, if you ask the people from my locality as well as those from my maternal Grandmother’s, I was one of the most mischievous lad in my age-group or amongst everyone. Last month, I was having a random chat with my sister at her new place in Kolkata and she reminded me that my mom still tells her how much hardship she had to go through, all thanks to me. When I was about 5 years old, me and my dad went to the famous sweet shop in Imphal called Maharaja. There, I saw this lady who must be in her early to mid 20s and said to my dad, “Pabung amta ngaikho, asi nupi se amukta laknakhige [Dad please wait, let me tease that girl first]. Then I proceeded to do what I actually intended. Yep! 5 years old at that time. 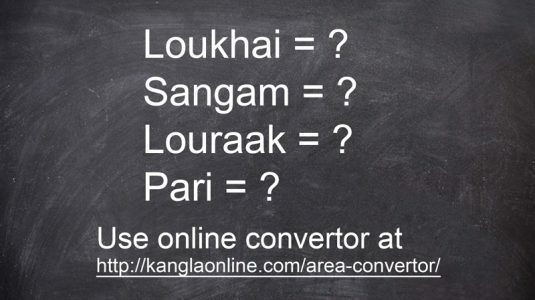 This was just one of the many many mischiefs that I created among my family, our locality as well the Sagolband Thangjam Leirak, where my maternal Grandmother’s home is. The same applied to my actions at school as well. Fighting, peeing in the classroom many times and whatever notoriety you can imagine. Boy! Was I uncontrollable. Well! Conor McGregor might be nicknamed The Notorious, but I can guarantee my mom would beg to differ. But somewhere between the eve-teasing, problem creating, peeing in the classroom, breaking people’s head and falling from the building while looking at kites version of me, lies another one. One really interested in sports, be it football, cricket, basketball and all kinds of sports. One who’s quite different (some people call it unorthodox, I consider myself different). I’m different because I’m not one to follow the norms. Everyone during those days liked Michael Jordan, I liked Charles Barkley and Dennis Rodman. Majority liked Sachin Tendulkar but I loved Jonty Rhodes and started jumping around in the cricket ground like him. People adored Ronaldo El Fenomeno while I liked Alan Shearer. Something about me says ‘don’t follow the trend’. Michael Johnson was the darling in the athletics world while I worried more about Gabriela Szabo’s 800 Meter races. People my age were listening to MTV and Channel V while I sat glued in front of the tele watching Quiz shows, especially Sports Quizzes. When I first saw Vijay Amritraj and John Dykes on screen, I wanted to be like them. But I never knew what I wanted to become. I used to change it from IAS Officer to a Physicist and then from a Software Engineer to a Micro-Biologist. My future lied somewhere but not in sports. But I was so crazy about sports that I’ll have a glance towards the DM College Ground aka NCC Lampak while getting down from my school bus at 3:30 every afternoon. Depending on that, I’ll vary the speed at which I devour my meal. If the ground is busy, that means I was guaranteed a whipping from my Dad’s Park Avenue belt because I will, most of the time, be going back home late, pretty late. Newspapers were all blank to me, except the back pages and television channels consisted of only Sports channels. Cutting the chase short, I was and still am a sports fanatic. During the Primary School days, however, school sporting activities were restricted to the 45 minutes of weekly Physical Education (PE) classes or the 3 day Annual School Sports Meet while outside it, I would play pick-up games amongst friends or our Annual Yaoshang (Holi) Sports Meet. High School was a bore though to be honest, academically, except my English classes. Although my teacher Mrs. Felicia Augustine used to complain that I was stubborn and never paid attention. Don’t know how she came up with conclusion though. Mathematics, Biology, Physics and Chemistry made me felt like watching Interstellar before Interstellar’s script was drafted. Coupled with the Chennai heat, even though I love my friends, my school and the city, it was me being put in a virtual Iron Maiden torture machine. PE classes were my favourite, even though my face was so red that you won’t be able to tell the difference between applying blush and that. I still remember our football teams, every single person from both the teams. My captain Rajesh Krishnamoorthy (our beloved KK) was always the passionate leader that he always blamed the opposition captain Mr. Sudeep Ambare for whatever state of trouble we were in. Sudeep, being the nautanki baaz that he was, always irked KK (Hey! I support my captain). Those 60 minutes of intense football created lots of heat, on top of the actual heat from the afternoon Chennai heat. But it also forged a lot of bonds that will last till eternity. Post-school football or basketball practice began at 3:45 every afternoon. Pre-training snack was walloped while changing into our practice uniforms in our hostel dormitories. 2 hours of football practice and matches felt a lot less as our Hostel Warden’s whistle sounded for evening study-hall. Second snooze fest of the day began at 6 in the evening. What I liked most about my time in High School was the fact that we participated in a lot of tournaments. Football and Basketball Tournaments during school days were marked as present since we were representing our school. The hell with classes eh!!! More tournaments meant more present in the attendance registers, virtual presence, and more clocks. I don’t know why but every tournament wins came with a winner’s certificate and a damn clock. My mom is still confused about this. Who wouldn’t? But during that time, there was this fascination within me about writing the AIEEE entrance exam. How when did that happen? Only God Knows. This fascination led me to changing my optional subject from French to Mathematics. Initially, I didn’t get Maths because I got 45% in my Standard X exams and my High School was among the Top 2 in Chennai. So you do the calculation. Anyways! I was in French class for a month but that didn’t lead me to anything apart from Nous Avons and Vous Avez. Yep! Those were the only 2 things that I happily learnt from that class with Mr. Kenedy. The time period between my transition from French and Maths classes were spent a lot in our Vice-Principal Ms. Selvarani’s office door persuading her to allow my change of subject from Française and Mathematics. She asked me, “Why do you want to take Maths? You know you scored 45 out of 100? What makes you think I’ll even remotely consider that?”. My answer was always- “Mam, AIEEE”. That was my only damn answer. AIEEE was, 2 years later, complemented by its ally COMEDK (Engineering Entrance Exam for the state of Karnataka). That was my pathway to becoming a Software Engineer. 4 years of Engineering studies passed by and ultimately I got a job offer at Mahindra Satyam, now known as Tech Mahindra. My joining date was supposed to be September 7, 2011 in Hyderabad but since it has the number 11, I got an email from the HR in the 11th hour saying my joining date has been postponed. Damn me! And damn you Srilekha Chadha!! Nonetheless, I went to Hyderabad in August, as scheduled previously, and stayed with my cousin brother. This gave me an opportunity to learn something new and well, I learnt French at Alliance Française de Hyderabad and completed my DELF A1 and A2 levels. Voila!! Je parle un peu de Française maintenant. No one knew why and how learning French came into all this chaotic life. Only I knew. The HR sent me an email again, but this time about my joining on 26 June, 2012. Finally, I can call myself a Software Engineer. If you have read the entire story till now, you must be wondering whether my dream came true or not, since this was one of the many fluctuating ‘lifelong dreams’ of mine. Well! That was not my dream by the way. Not my dream. Life as a Software Engineer started pretty well but there my first love was still Football. Oh yeah! That’s my dream. But how the hell did I end up playing Basketball??? June, 2013.. I got transferred from Hyderabad to Pune. In Pune, there was not even a glimmer of hope regarding football. So yeah, the only football was online streaming, television or Zaheer Khan’s Toss Sports Lounge. But during that time, my mind started drifting away and a new subject started brewing up. Hours and hours of consultation with my friends, family and consultants, I got to learn more and more about the field of Sport Management. Bam!! This is what I will do. My dream, my future. Something to with sports. But what many people didn’t know, and still don’t know about Sport Management, is that it’s not just the on-field management. It was like opening up a can of worms. Sport Marketing, Law, Policies, Governance, Sports in Society, Labour Market, Tourism etc etc all came at me like a Randy Johnson fastball. Boom boom boom!! So one day, I got an email from a education consultancy called Global Opportunities to come have a visit at their office in Pune. That was a good chance [read excuse] for me to leave office early that day and I didn’t even think twice. After going round and round in the Pune rain, I finally found the Sohrab Hall building where their office was. From there, I never looked back. The number of universities offering the subject multiplied exponentially when I reached there and met a Miss Rachna Jain. My initial plan was to study in France as it gave me a weird feeling that France might be the one for me. So, folks, this is why I studied French. Another appointment was made a few months later, where she me told me that the International student delegate from a certain Birkbeck would be visiting the Global Opportunities office. Another off day for that and another surprise was given in the form of a specialised Sport Management study called The Business of Football. Once I heard that, I stooped letting everything else in my ears. Me and Lauren Prone discussed the subject for 2 hours after which I had already made up my mind. That was the morning which changed my life, opening me up to various branches of a gigantic tree which I’ve never seen before. In the forthcoming weeks, unconditional offer letters came from Leeds Beckett, University of Central Lancashire, Coventry and Cardiff. But my wait was only from Birkbeck. 2 months later, while in the middle of my workout, my phone buzzed with a notification showing an email from Birkbeck. That was when I threw the dumbbells without any care for the people around me. My bad. But I couldn’t resist myself from showing that much emotion. The icing on the cake was when, a month later, I was awarded with a scholarship. This was followed by my resignation from Tech Mahindra and then the subsequent London voyage and then followed, sadly, by my Pune departure. That was an emotional moment but with a step towards my dream. The next month in Imphal was pure joy and happiness, beyond my wildest expectations. September 25, 2015… Time to say goodbye to Imphal and off to Newfoundland, to take another step towards the dream. As expected, London and Birkbeck welcomed me with open arms. It was here where normal academic with my fellow classmates where football was the discussion. We were talking football, so much so that our friends Regina, Mikako and Sejin, were starting to know a hint of football. Thanks to our company. The whole year was an experience in itself. Learning about lots of new things with new opportunities to volunteer for the community and partaking in charity events. May 2016… I completed my first level of FA Football Coaching license and the next month I started working as a Youth Football Coach. Now, my enthusiasm and passion was on full flow. Every work day was fun and enjoyable. I never wanted to take a minute off that. Everything was going smoothly until my student visa was about to expire on January 30, 2017. Then my meeting with Vic happened, and lo and behold, I was about to become part of Magic Bus India Foundation. Sport for Youth Development was one subject which interested me and has always fascinated me because of my sheer happiness in working with kids. Here, I was making my own contribution towards making boys into men and not making machines, like when I was a Software Engineer. Sports allowed them (Children) to play in order to develop them holistically, to bring change and to make them better citizens. Nelson Mandela once said that “Sport has the power to change the world. It has the power to inspire. It speaks to youths in the language they understand. It is more powerful than governments in breaking down social barriers”. My work with Magic Bus, as a Youth Coach as well as various voluntary works within many communities has made it possible for me to experience exactly that. Through my friends Kicker Xi and Aditya Sethi, I was able to invite Shillong Lajong FC to the 2017 BRICS Football Tournament, held in Putian City in the Fujian province in China. That was the first of the many road to International Exposure for football clubs in North East India. The next venture is the 2017 ‘Belt and Road’ Haikou International Youth Football tournament to be held from 6th – 13th December in Haikou, Hainan Province in China. I have invited AMOFA Football Club, Moirang from my homeland Manipur. Following their confirmation, their U15 team will be representing India amongst various clubs from Malaysia, Thailand, Croatia and China. It is a very proud moment for me to play a part in providing a platform for our boys to get exposure at an International Stage. 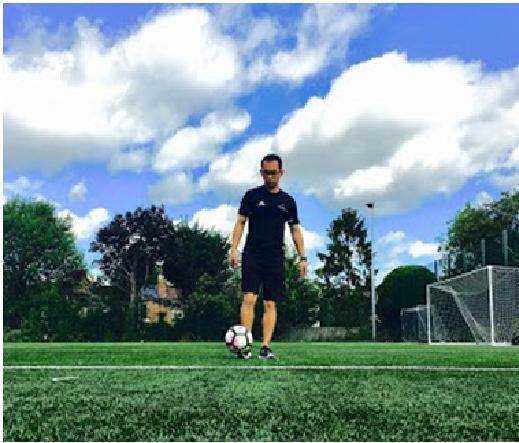 I have a vision to start an Academy in my hometown of Imphal, to further develop The Beautiful Game there whilst developing the youth socially as well as educating them to become responsible citizens of the country, all through the medium of football as well as other sports. From a notorious and mischievous kid Naoba [my nickname] to a Software Engineer and now a Social Worker and Football coach, I have experienced a lot in my young life. But whatever I have done and the sacrifices that I have made, is only for a better tomorrow. It is for a better footballing future in Manipur, North-East India, for my motherland India and spreading across the world. I am, indeed, living my dream. My dream is big and I will continue to enjoy my journey in bringing a outcome I had envisioned. And I believe I will trigger such beliefs to people around me, near and far, and to everyone for a better future. This article was sent by Jenson Rajkumar, who can be contacted at jensonrk(at)gmail(dot)com.